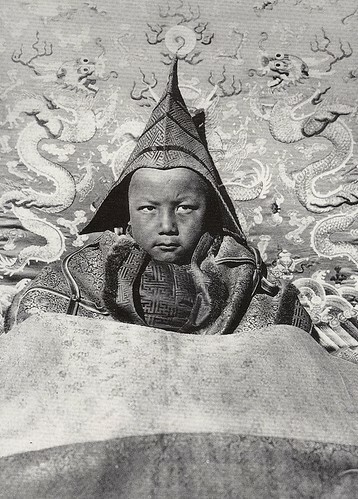 Huofo a Living Buddha in Gansu province, 1927, originally uploaded by jiulong. This is the six year old Living Buddha of Guya near Choni [Jone] in Gansu. Photographed by Joseph Rock in 1927.